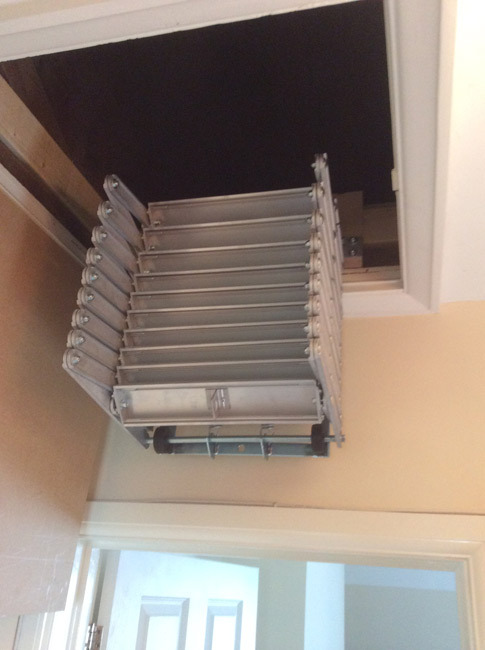 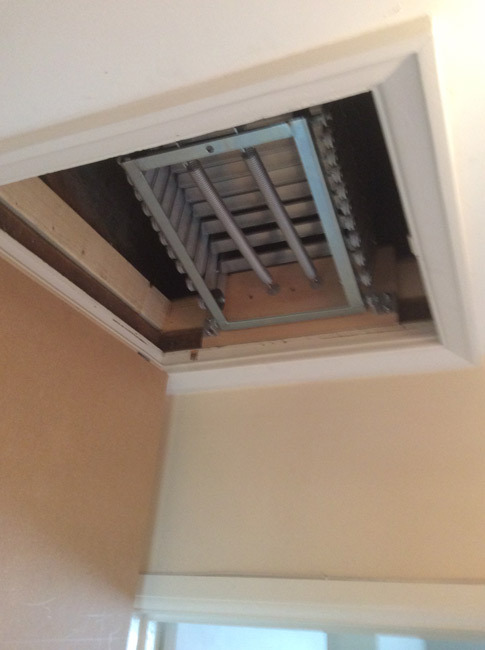 Installation of a concertina loft ladder, new hinged door and flooring to a loft with a level of insulation above the existing joist level. 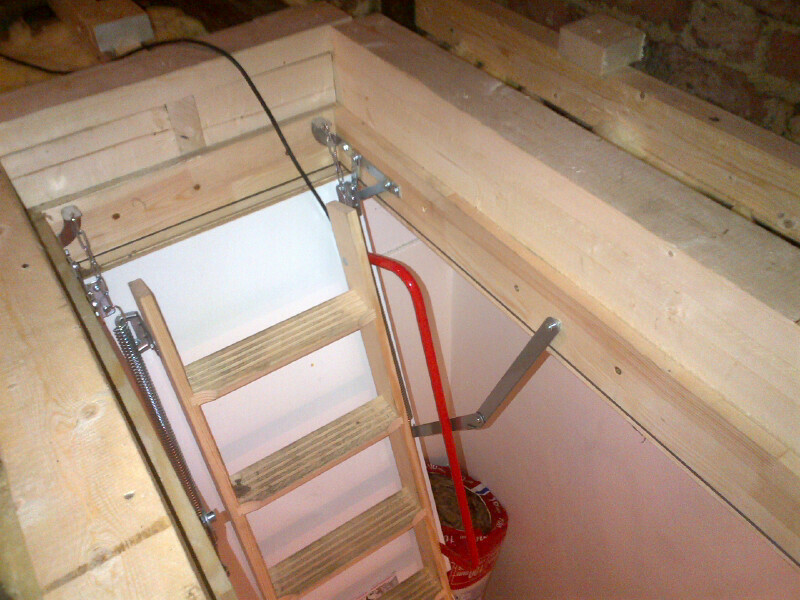 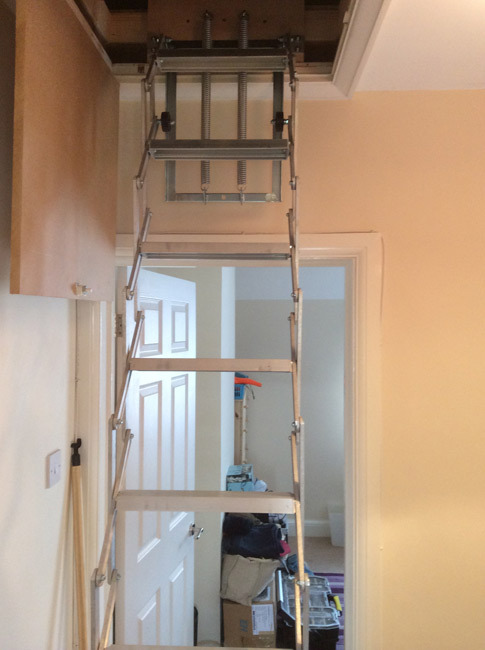 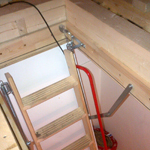 This customer needed an enlarged hatch and timber ladder installed. 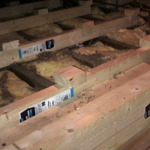 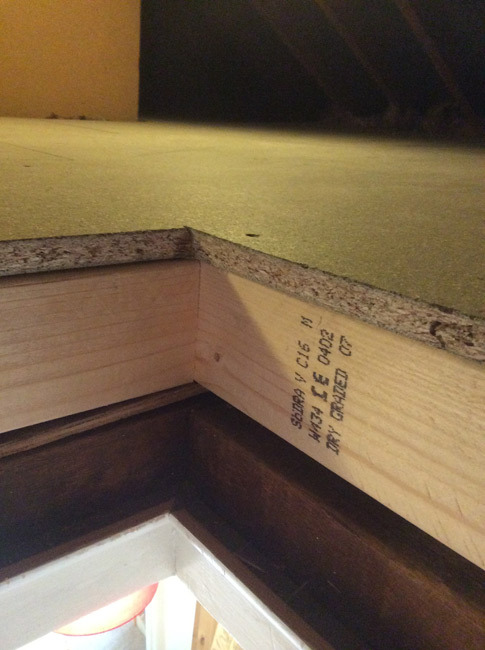 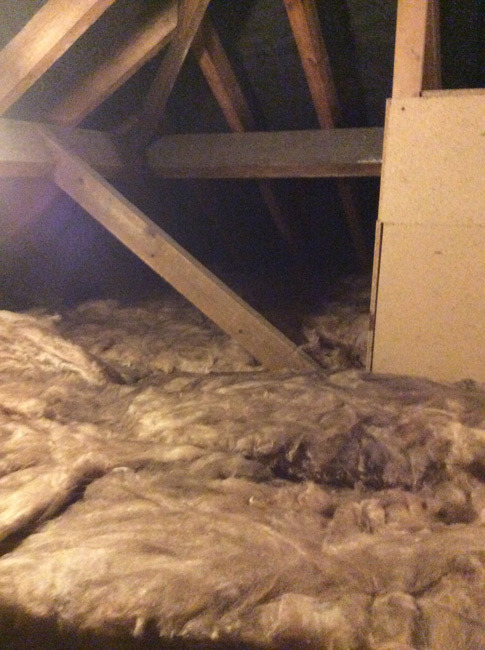 He also wanted the loft insulated to current building regulations for which we had to raise existing joists with a new set of joists and packing's which also increases the strength of the floor. 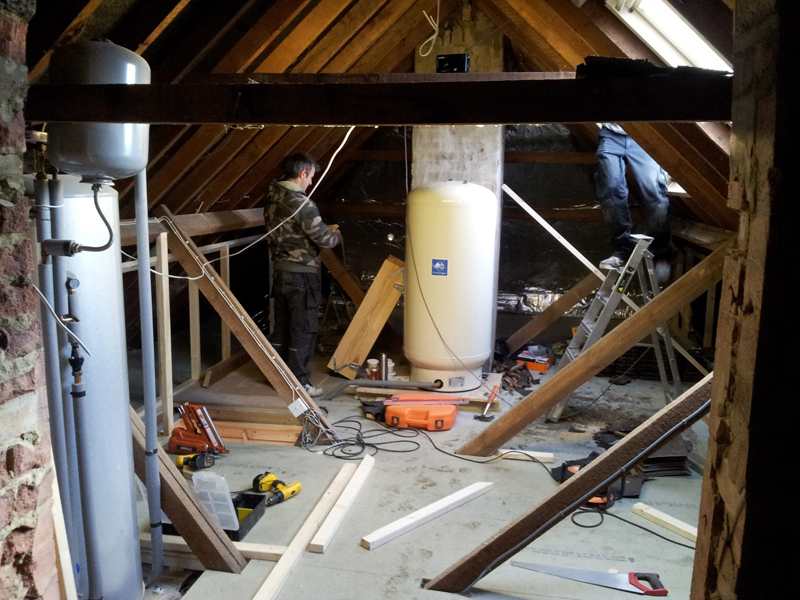 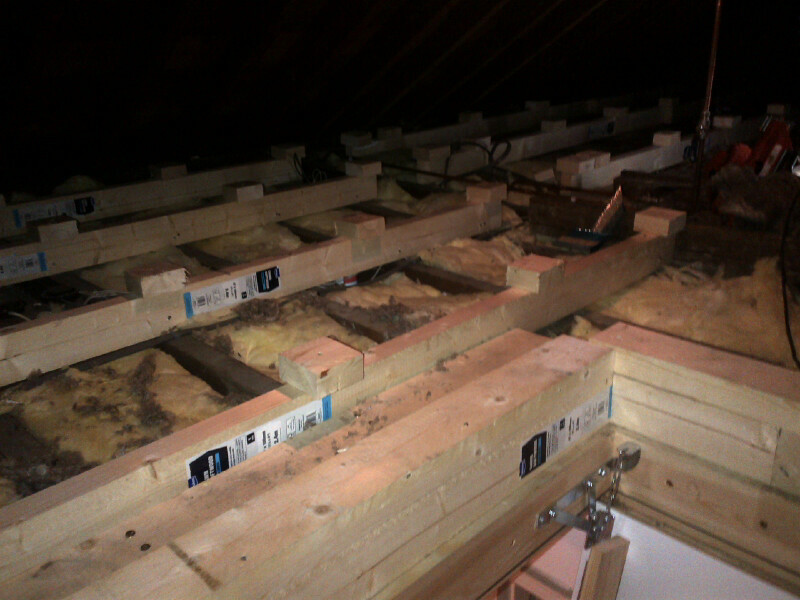 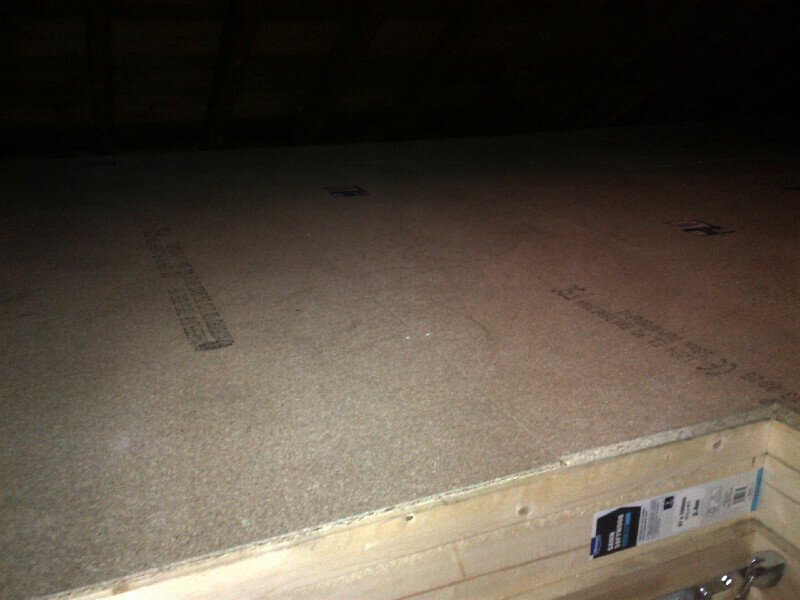 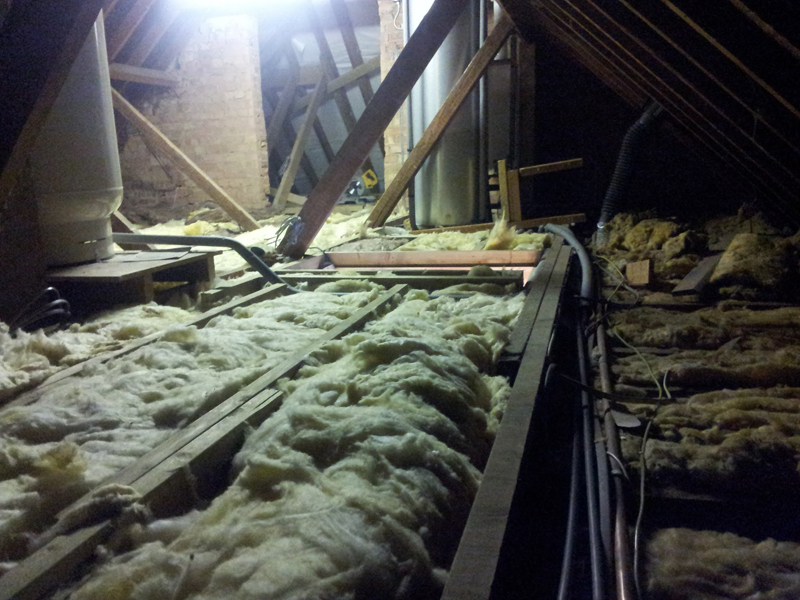 We then insulated and floored the loft for storage purposes. 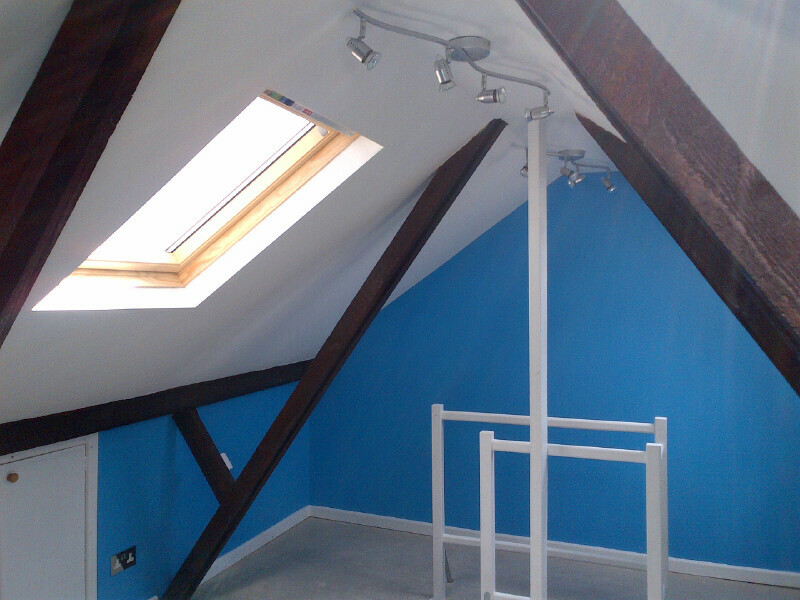 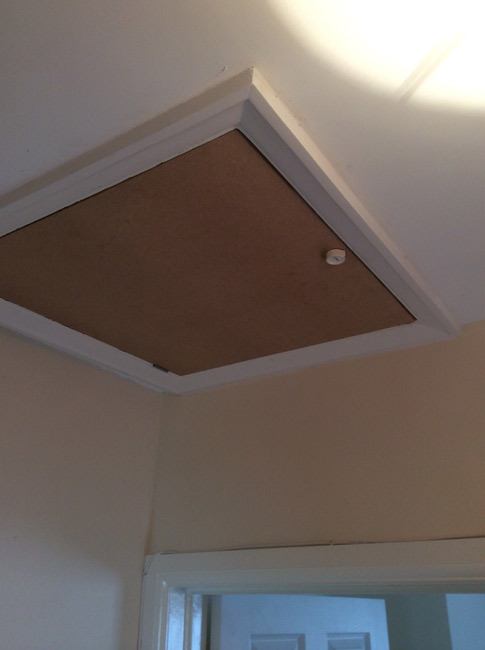 Pictures of a completed Hobby Room in Weybridge. 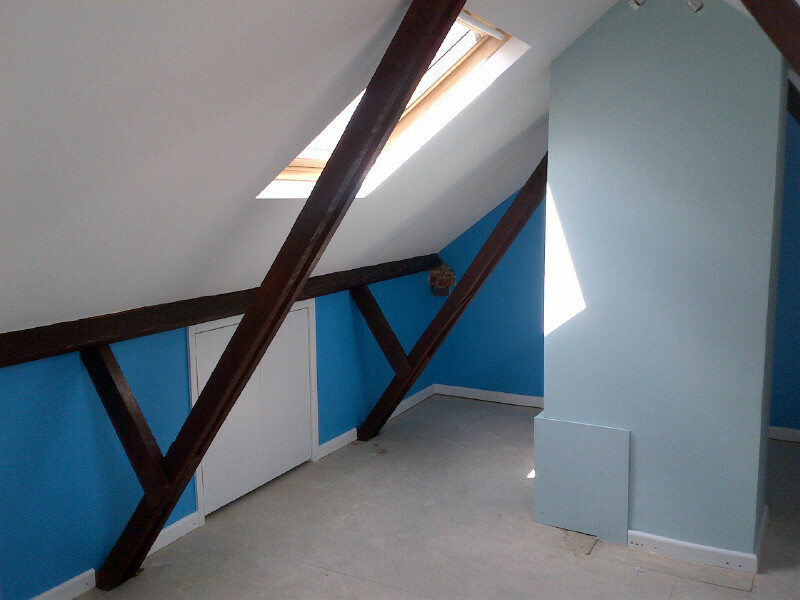 This was not your average 3 bed semi detached house. 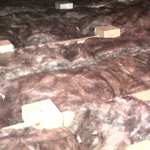 This was a 4 bed detached house. 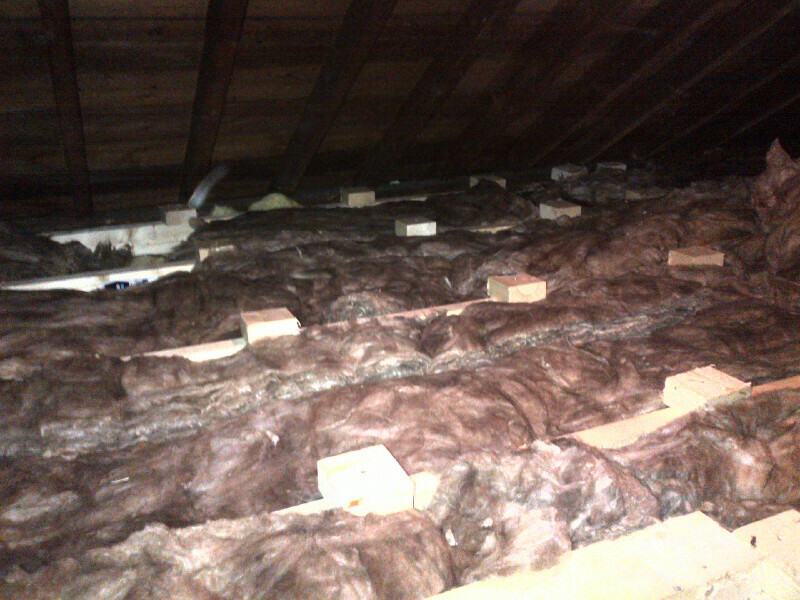 The roof was fully insulated as shown. 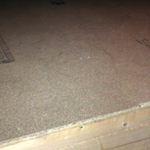 Pictures were taken before decoration.